By the time children reach school age, they no longer need full-time care, but they may be involved in before and after school activities at your child care, activity center, or YMCA. School-age children may account for a large portion of your enrollment, which means tracking their schedules, attendance, and activities are important to the success of your child-centered business. To help, we’ve compiled a list of previous articles on tracking information for children in before and after school programs. If you’re already using Procare Software this will be a handy reference, and if you’re just learning about Procare for the first time, you’ll get an idea of the powerful child care management options available to help you manage sign in/out records, school-age schedules, and after school activity lists. Whether children are dropped off by their parents or arrive by bus, you’ll need to keep track of their time and attendance. There are several methods for signing children in and out that range from printing paper sign-in sheets, to electronic child time cards, to curbside check-in using a mobile web app. On typical school days, children in grades K-5 would likely have recurring schedules assigned to them. Although some might be scheduled for before school or after school only, while others may be scheduled for both, their individual schedules during the school year would seldom vary. However, at times when school is closed for vacation, spring break or school out and in-service days, these same children may be at your center for the full day. While typical school days may be handled with Schedule Templates, days that school is out are treated as Schedule Exceptions. If you’re in charge of tracking after school activities, you’ll not only need to know who is enrolled, but how many slots are still open and when the next session begins. 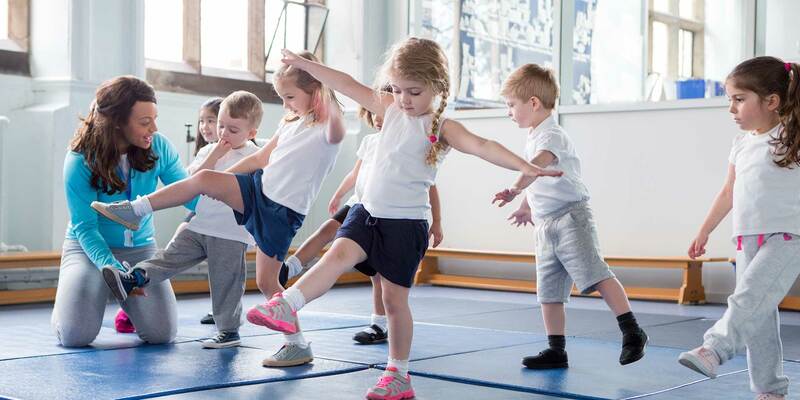 And, if a class builds on skills learned at the previous level, like swimming, gymnastics, karate or soccer, you’ll need to keep track of prerequisites too. You may even need to produce a catalog of activities showing when each session is offered. The new school year is just around the corner and you have some time-consuming tasks to do in preparation. Save time with Procare! There are several special functions and menus to help streamline the steps during this busy time of year. You can feel the warmth in the air—the longer days and sunshine can only mean one thing. Summer is on the way and soon your early childhood program will be buzzing with summer and day camp programs for children of all ages. As your summer programs get under way, family vacations will be coming up too. And although getting away to a favorite fishing hole may be fun, you don’t want to be fishing around when it comes to tracking child vacation hours. Bring a new level of productivity to your center. I have used Procare for over 2 years and have loved all the things it has to offer. Our U.S.-based support team is dedicated to providing solutions, training and tools with the option of remote support technology to diagnose and repair your issues. We also have an entire support website dedicated to helping you succeed with videos, articles, tips, live webinars and more. Sign Up for Procare News and Offers. Stay up to date on Child Care News, Procare Support, Specials and more! Procare Software runs exclusively on Microsoft Windows. Procare Software®, Tuition Express®, Procare Cloud®, and MyProcare® are registered trademarks with the USPTO. Procare Software is a Registered ISO/MSP of First National Bank of Omaha, Omaha, NE.